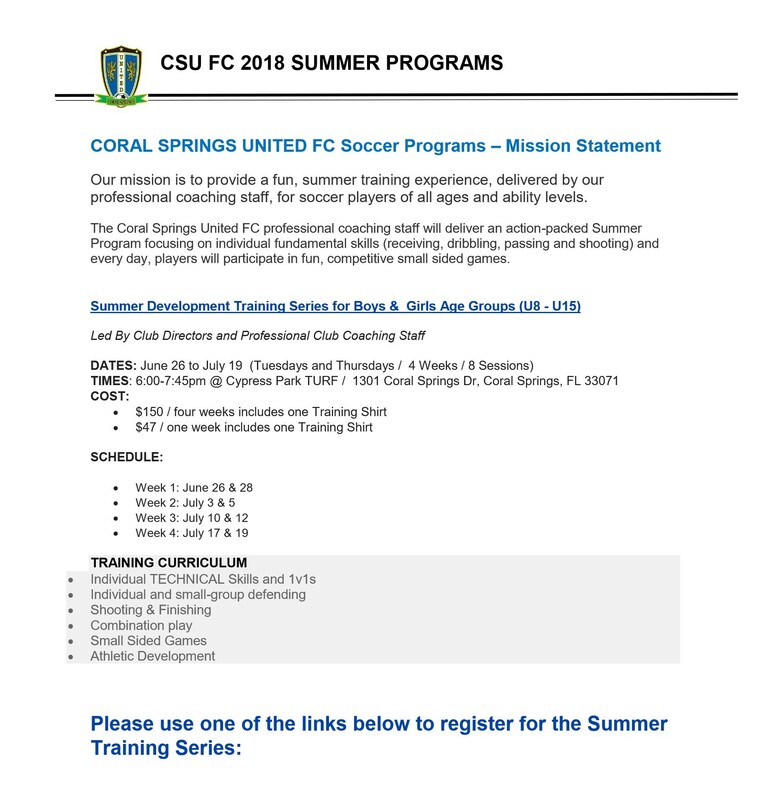 Coral Springs United FC 2018 Summer Programs | Coral Springs United F.C. Please click here to access the Summer Development Training Series / four-week registration. Please click here to access the Summer Development Training Series / one-week registration.